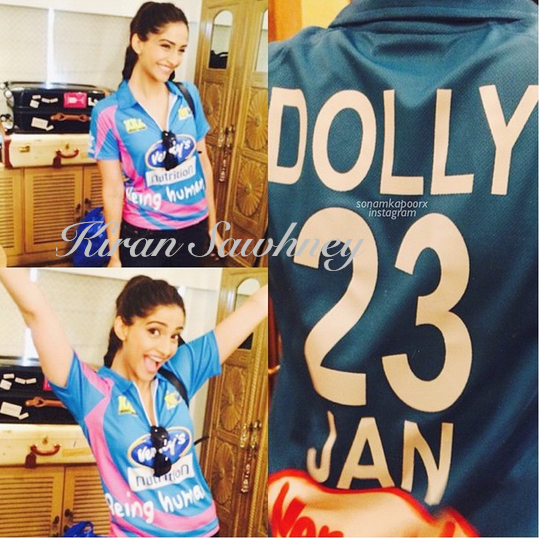 Bipasha and Sonam were seeing sharing warm hug at CCL. 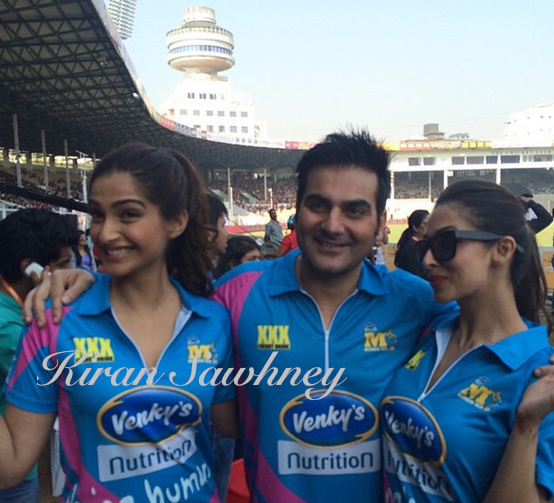 Sonam was there to promote her movie, Dolly ki Doli with Malaika and Arbaaz. Bipasha too was promoting her movie Alone. 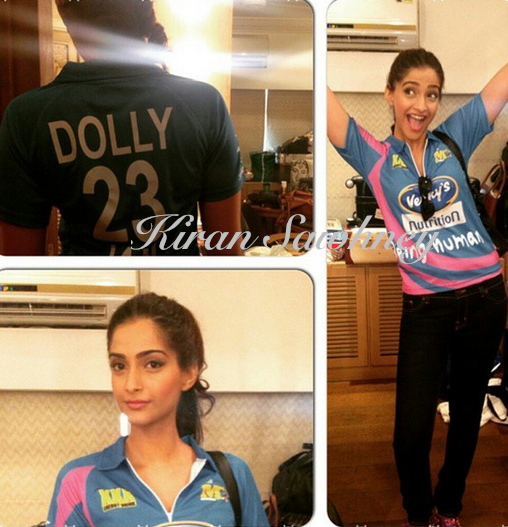 Sonam and her team were in coordinated tee's which had Dolly 23 Jan written behind their back. Coming from the Khan family, these tee's also read "Being Human"- organization promoted by Salman. Bipasha wore a white dress with fringe detail. She accessorized it with gold chain. We preferred Dolly team. It was more in sync with CCL and conveyed more.